When you REALLY need help from some of the best, you call in the big guns, right? 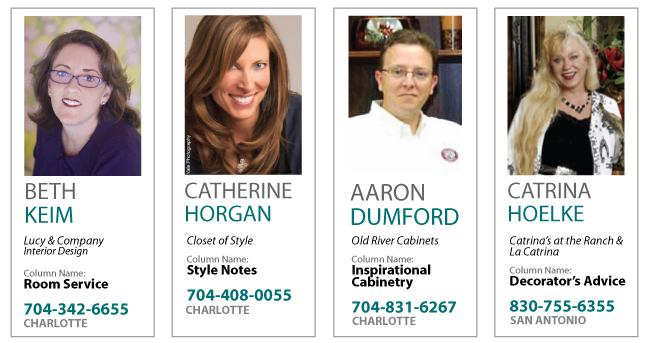 In Charlotte, these guys and gals are at the top of their game. 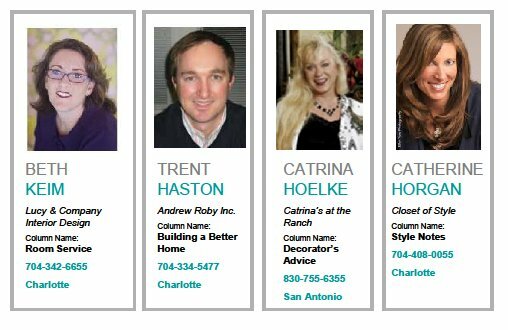 From decorating to remodeling to home finance, the Urban Home contributing editors are some of the most well respected professionals in the market. But you know what? They are also GREAT people and easily approachable. Follow their advice and topics in our EXPERT ADVICE category. Or better yet, give them a call or post a comment—they’ll get right back to you. Free advice—what could be better? Click here to read more information about the contributing editors.